As the holiday party season approaches we often dread finding that perfect gift for friends, family, and party hosts. As a guest you never want to arrive at the door empty-handed, whether you’re close friends or casual acquaintances. 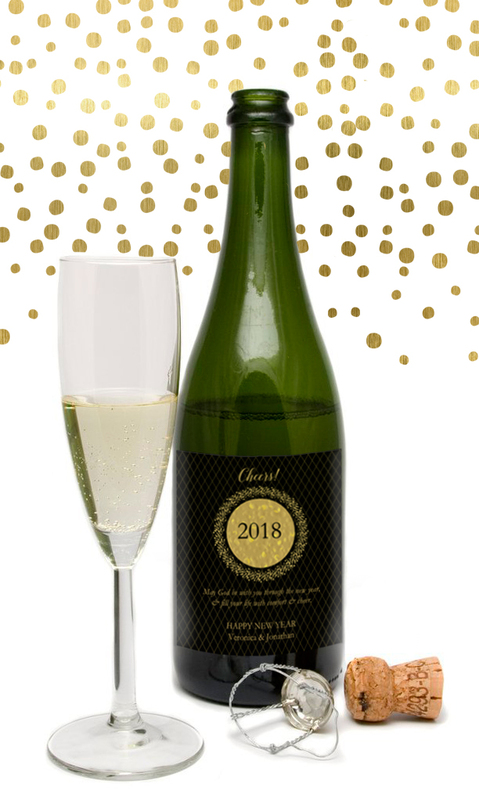 For occasions such as holiday brunch, dinner parties, and holiday open houses, we recommend wine or even sparkling wines with personalized labels for gifts that are sure to please. Since wine is a popular gift during the holidays imagine giving a wine bottle with your personal greeting on the label to your favorite wine lover! We’re here to help with inspiration and information for wine gifting. We’ve curated the best wine labels to personalize this holiday season. 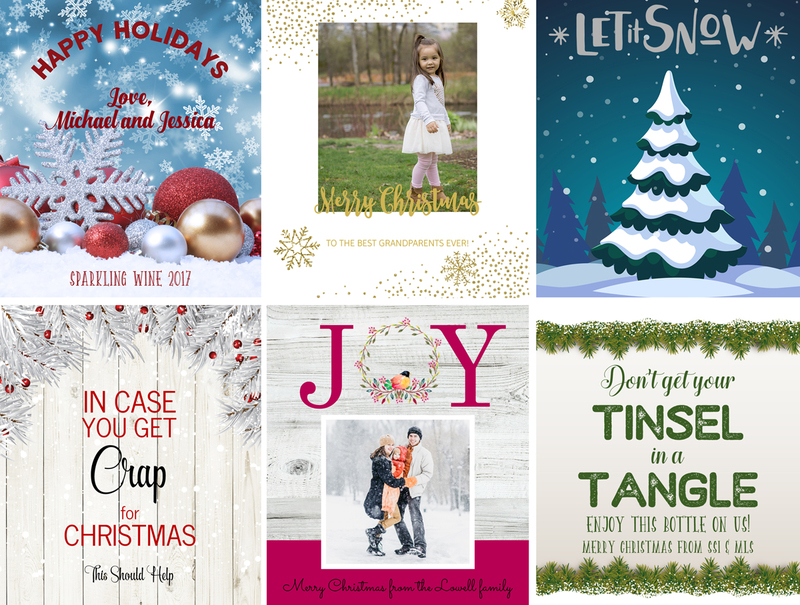 THINK: photo wine labels, Thanksgiving Day wine labels, Christmas wine labels, Hanukkah wine labels, and New Year’s Eve labels in the coolest designs, perfect for the season. 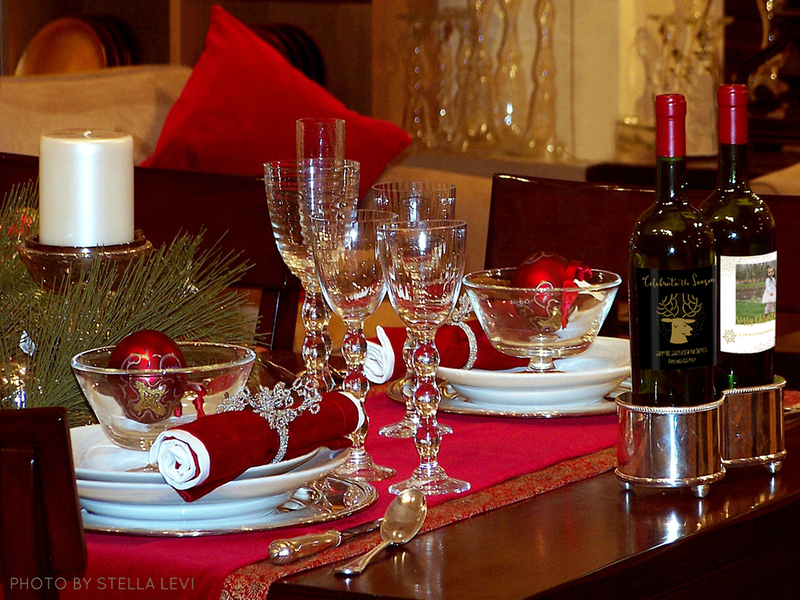 Now we’ll walk you through the process of choosing wines and creating custom labels for holiday wine gifts. Let’s start with Thanksgiving ideas. 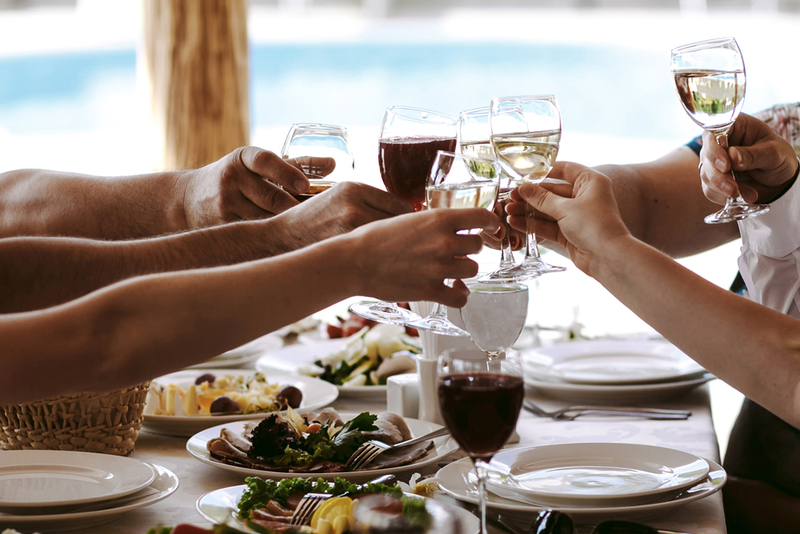 What wines go with a Thanksgiving spread? According to recommendations by Wines.com a dry white wine like a Chardonnay, Sauvignon Blanc, Fumé Blanc, Pinot Blanc, Pinot Gris, or even a dry Chenin Blanc. Your other options are semi-sweet wines such as Riesling, Gewürztraminer, Rosé or a White Zinfandel. These pair well with turkey and the accompanying side dishes. The wine labels on the bottles in this photo are from l to r: Thankful Grateful, Be Thankful, Gather. As for what wine label to customize, that depends on what message you want to convey. Search via Wine Labels>Holiday>Thanksgiving. Each label allows you to edit the text to the exact words you want much like you would in a Word document. Even if you’re “not good with computers” you can customize a label. 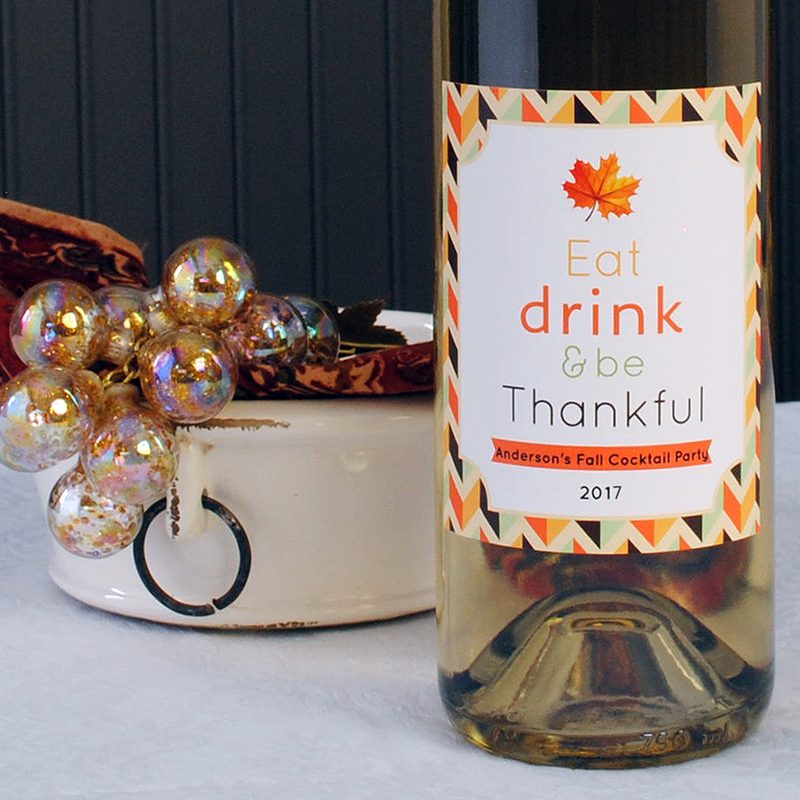 Should you want to make your own Thanksgiving wine label from scratch with a photo or a design you created start at the Make Your Own Custom Wine Label page. The wine labels in this graphic are from l to r: Feast Mode, Always Thankful, Turkey and Pie. The wine label in this photo: Fall Colors. Wines to serve at Hanukkah are by tradition, kosher. FoodandWine.com recommends the following wines for Hanukkah celebrations: Hagafen Dry White Riesling, Covenant Chardonnay Lavan Sonoma Mountain White, Domaine Du Castel Petit Castel Bordeaux, and Flam Blanc White. The wine label in this photo: Hanukkah Lights. We offer Hanukkah labels with traditional icons such as the menorah, dreidel, and star of David to choose from. You may also edit any other label art that you think suits the wine and the occasion. 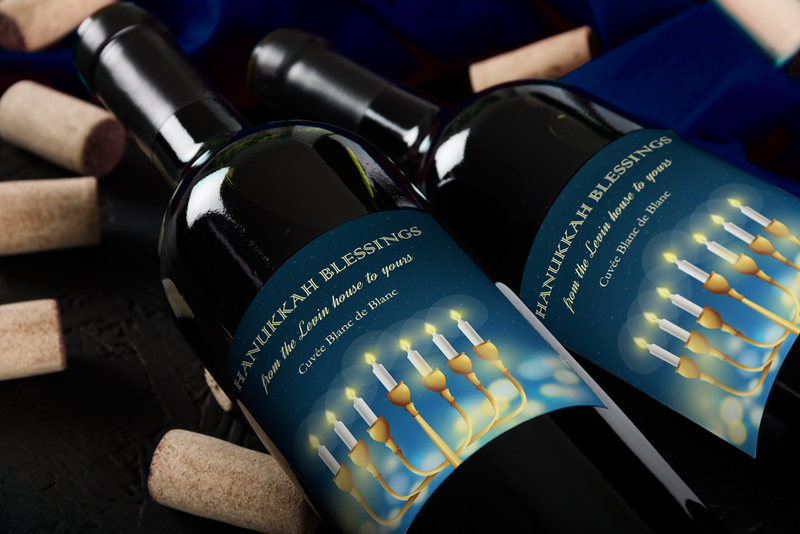 The label artwork doesn’t necessarily have to have a Hanukkah artwork theme as long as your custom message conveys the spirit of Chanukah. The wine labels in this graphic are: Miracle of Hanukkah, Keep Calm & Light the Menorah, Happy Hanukkah. Choose from these and more to customize with your Hanukkah holiday message. For Christmas wine selections we turned to VinePair.com for guidance. Their recommendations are based on the meats served during the meal. For prime rib they recommend a Cabernet or Bordeaux. For ham, a Zinfandel or Lambrusco, and for poultry like Roast Goose or duck, a Red Burgundy. Other wines to consider are Pinot Noir, Syrah, and Beaujolais. If you’re invited to a Holiday Open House then bring a wine you know has a good reputation. When in doubt, ask the wine steward at any wine shop or high end grocer. They’re a wealth of knowledge and will ease your mind if you’re not a wine lover and feel a bit uneasy making a wine purchase on your own. The wine labels on the bottles in this photo are from l to r: Magic Reindeer & Christmas Wine Gift. There are so many parties and get-togethers during the Christmas season that giving wine with your own label on it is pure genius. 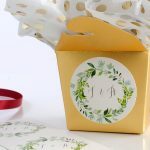 We recommend you create your labels to correspond with each recipient or event. We sell as little as one custom holiday wine label for $3.75 or you can buy in larger quantities for a discounted price. Making one label for each occasion allows you to give a wine bottle with a unique label for each wine lover or party host on your list. 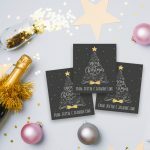 There are so many Christmas wine label designs available, the hardest thing about making a Christmas wine label will be choosing which design to customize. Choose from Santa, snowmen, reindeer, wreaths, holiday bulbs, bears, Christmas lights, trees, and more. 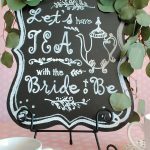 You’ll find themes with humorous holiday sayings, photo wine labels, religious sentiments, blessings, and holiday wishes. 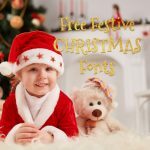 These are a small sample of the newest designs for Christmas 2017. The Christmas wine labels in this graphic are top row l to r: Snowy Ornaments, Christmas Wine Gift, Snowy Christmas Fir Tree. Bottom row l to r: Christmas Gift, Christmas Joy, Tinsel in a Tangle. Not sure what Champagne to buy? We recommend these mid-priced Champagnes; such as Ayala Brut Majeur ($40) and Pol Roger Brut NV ($45). A very popular Champagne with a good rating and a reliable favorite is NV Veuve Clicquot Ponsardin Brut ($44). 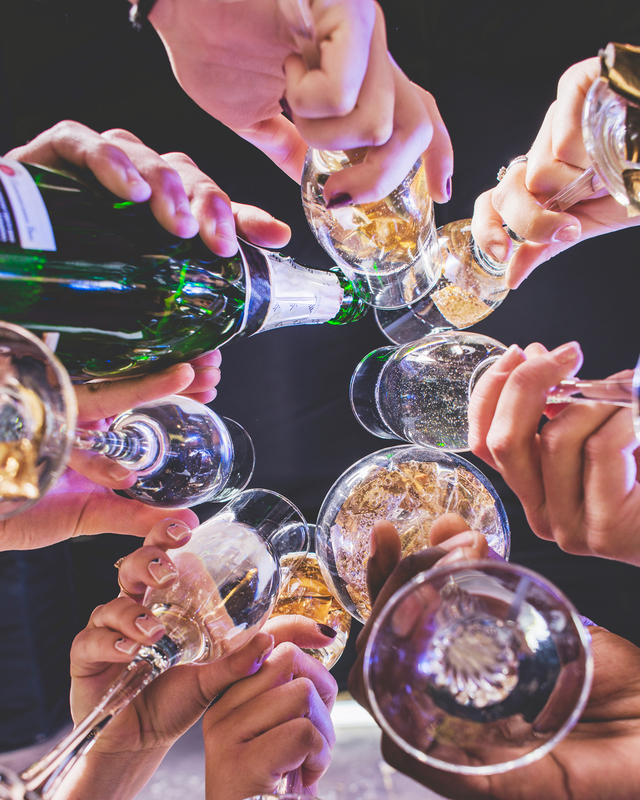 Besides Champagne, winemag.com recommends sparkling wines to serve at New Year’s celebrations like a pink, sweet and fizzy Moscato or a light Prosecco with a lower alcohol content. Cuveés are another option as they mimic Champagne. When purchasing your custom label for Champagne bottles, pay special attention to the shape and curvature of the bottle. Sometimes, what we call our beer label, fits these bottles better when the lower part of the bottle has a sharp curve. Read more about what size wine label or Champagne label to buy here. The New Year’s Eve Champagne label in this photo: New Years Eve Gold. New Year’s Eve Wine & Champagne Labels from l to r: New Years Eve Masquerade, Happy New Year, Regal. Once you’ve purchased your wine, you’ll want to make your own wine label. 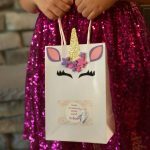 There are two options; edit a pre-made template or make your own label from scratch. As for what to say on your holiday wine label there are a number of routes to take. 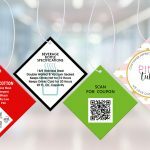 Your label is essentially like a greeting card on a bottle. Some folks like to make humorous wine labels with silly sayings and others go the traditional route with Happy Holidays or Merry Christmas salutations. You may want to include the year, your name(s), and sometimes the name of the wine, especially if it’s homemade wine. We’ve discovered that adding photos to wine labels is a big hit at Christmas. Photos are not limited to children or families; we’ve seen lots of dogs and cats on labels and even a horse or two! There are two ways to add your personalized wine label to a bottle; soak off the old label and add the new one, or add the new label over the old one. Soaking labels off wine bottles calls for a careful approach. First of all you do not want to put wine in hot water. We recommend a tepid, soapy water bath in the kitchen sink, just long enough to make the existing label and glue soft. Next, take a plastic scraper like a hard spatula and scrape off any paper or lingering glue residue. Dry thoroughly and place your new label on the wine bottle. For bottles with labels that are smaller or the same size as the new custom wine label simply place the new label over the old one. Peel off the protective backing, line up the label and apply, smoothing out any air bubbles. Keep in mind our “standard” wine label size is 3.5” wide by 4” tall. 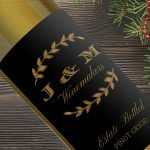 We do sell a “large wine label” which is 4 ” x 6″ in portrait or landscape, as well as other rectangle and square sizes on our site in the Make Your Own section, where you create your own label artwork online. 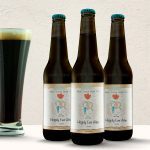 This is easy to do with the online design studio which allows for hundreds of font choices, the ability to upload graphics and photos, and many other features you’re sure to find useful when making a personalized wine label from scratch. 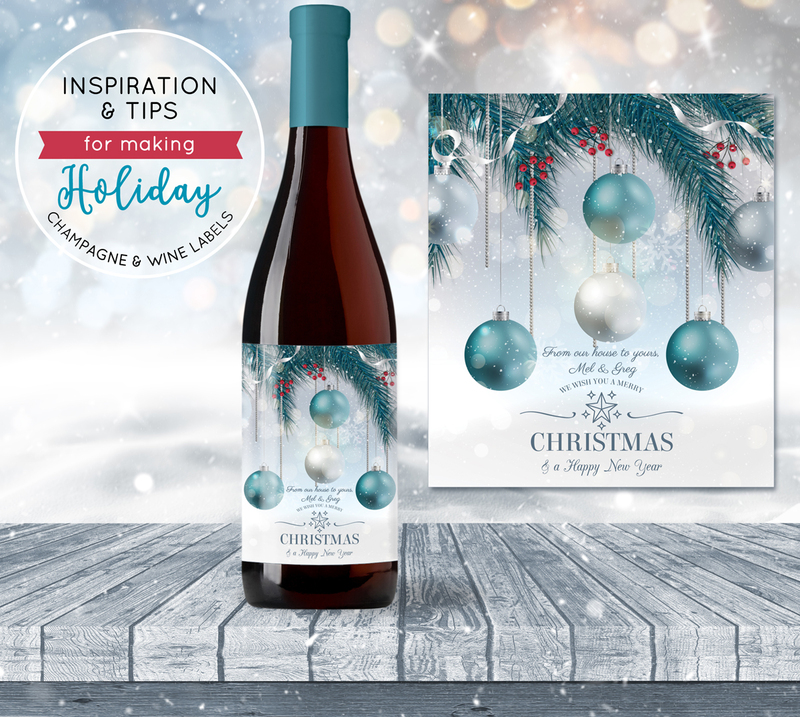 If you have questions about making your own holiday wine labels be sure to live chat with us Monday through Friday 9 am to 3 pm Pacific time or email us at info at bottle your brand dot com.